Take a look at our quality and taste! Dostlar Döner stands for premium production with an unmistakeable taste. 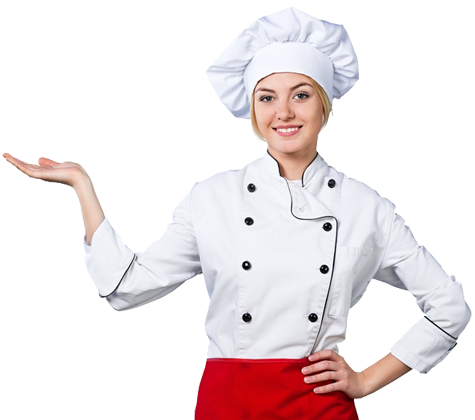 Dostlar quality products are manufactured by our qualified personnel, whereby very high hygiene and food standards are applied. Try our products! You won’t be disappointed! Dostlar Döner offers the traditional flavour of Anatolian cooking and much more! Meeting maximum demands with its up-market preparation. Quality and flavour are decisive for market acceptance and customer satisfaction. 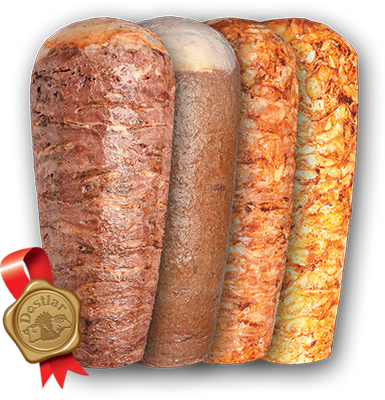 The quality products offered by Dostlar GmbH Dönerproduktion meet these criteria. See our wide range for yourself. With our convenience products, you can now enjoy the typical delicious taste of a kebab spit in your own home. Traditionally cooked on a kebab spit, sliced and individually frozen, kebabs are offered in a variety of package sizes. Carefully selected chicken meat - marinated in our delicious home-made spicy marinades. Carefully selected turkey meat - marinated in our delicious home-made spicy marinades. Marinated separately, the chicken and turkey meat is then arranged in alternating order on a skewer. Carefully selected veal meat - marinated in our delicious home-made spicy marinades. Carefully selected minced veal meat - marinated in our delicious home-made spicy marinades. Marinated separately, the veal and turkey meat is then arranged in alternating order on a skewer. Marinated separately and minced, the veal and turkey meat is then arranged in alternating order on a skewer. Take charge of your kitchen with our practical recipes. Heat the pre-broiled frozen Convenience chicken kebab in the microwave (700 Watt), frying pan or oven (250 °C) for approx. 4 minutes. Slightly warm the bread as well, if you like. Finely slice the tomato, onion, lettuce and red cabbage, and toss, or use a salad of your choice. Spread the Convenience kebab on the warm bread and top with salad. If you wish, serve with pickled vegetables, French fries and Ayran. We are answering your questions. Question: Which benefits does frozen kebab have? Answer: All food has a limited shelf life and is no longer edible once the best before date has expired. Thanks to the shock-freezing method applied by us (freezing at an input temperature of -40 °C to a skewer core temperature of -18 °C), frozen kebabs can be stored for several months, retaining their taste and flavour. If the skewer is mounted on the spit in a frozen state, it remains frozen at the core even when exposed to high temperatures during the all-day broiling process. This prevents an increased formation of bacteria and therefore the risk of meat going off. This has been confirmed by laboratory analyses. For this reason, we recommend mounting the kebab on the broiler while it is in a frozen state. Question: How long should the kebab skewer be broiled? Answer: Laboratory analyses have confirmed that microorganisms in kebab products are inactive as of 85 °C, as is also the case in other food. We therefore recommend cooking the kebab well before consumption to prevent damaging the health of immunocompromised persons and children. Question: How long can I store a frozen kebab skewer in the freezer (at -18 °C)? Answer: For at least 12 months provided the cold chain is not interrupted. Question: What needs to be taken into account between the time the kebab skewer has been mounted on the broiler and when it can be consumed? Answer: First of all, mount the kebab skewer on the kebab broiler and let it thaw for approx. 15-30 minutes at a low temperature. This can be followed by the actual broiling process. This ensures that the underlying cut surface of the kebab chunks is well-cooked when cut.